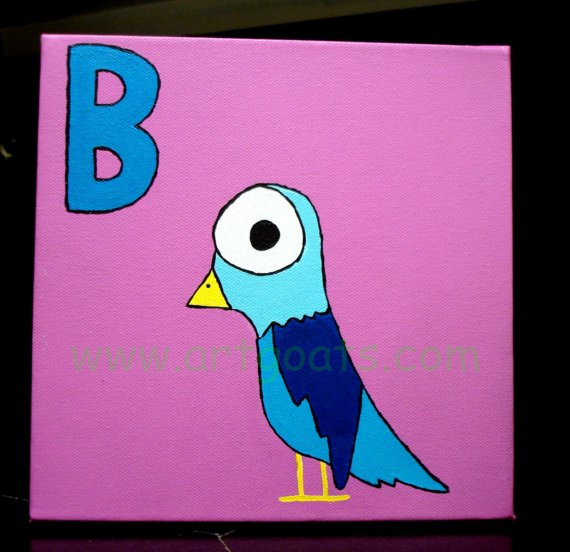 Part of the Animal Alphabet Series, this blue bird is showing his stuff.”B” is the letter of the day. Original acrylic painting on 8″x8″x1.5″ museum wrapped canvas. 1 of 3 piece set. Ready to hang or free standing. Set includes Letters A, B, C. If you purchase two of the Alphabet Series I will throw in the 3rd for free.